An organized garage is safer and more enjoyable to use for the whole family. Instead of being a place where extra junk is thrown, it can be an efficient storage area for your tools, lawn equipment, seasonal storage, toys, and sports gear. Use this step-by-step guide to transform your garage and create a much safer and more organized place. 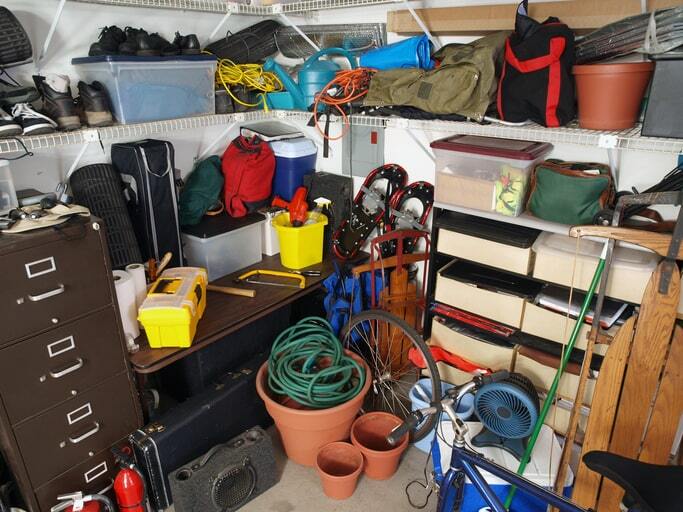 Start by completely emptying out the contents of your garage. This will allow you to inventory what you have and plan for a new garage layout and storage plan. Next, sort through all of your belongings and clear the clutter. You will likely need to make some hard decisions when it comes to certain items. Get rid of anything you don’t use by selling it, donating it, or discarding it. Make sure you have distinct keep, sell, donate, and trash piles. Take this opportunity to clean up your garage and clear out those cobwebs. Consider painting your floor with a specialized floor paint to make it even more weatherproof. This can really refresh how your garage looks. It’s time for a fresh start when it comes to organizing! Plan out storage based on the items you use most, and which should be the most accessible. Make use of every inch of your walls with slatted wall systems and shelves at the top of your garage. Group like items logically so that they are organized and accessible. Now for the fun part! It’s time to install your storage systems. 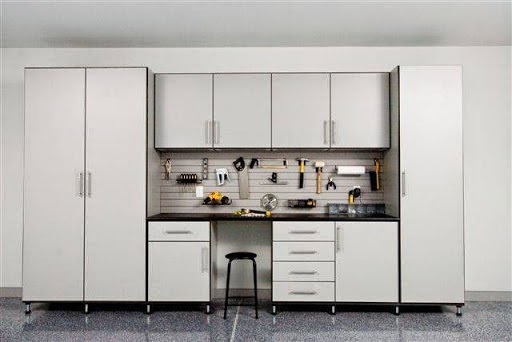 When you work with a team, like at Closet & Storage Concepts, they will design, manufacture, and install your garage storage cabinets for a professional finish. We’ll make sure to use the right about of shelving and drawers to organize the contents of your garage. Custom garage storage is ideal to help you stay organized and fall in love with your garage. Now that you’ve streamlined, cleaned, organized, and restored your garage, resolve to keep it that way. Partnering with a professional storage company and creating a customized solution can make all the difference. A sleek, contemporary system that looks great and is organized in a way that makes sense will motivate you to keep your garage safe and clutter-free. When it comes to garage storage and organization, you don’t have to go it alone. A reputable home storage company like Closet & Storage Concepts can design a garage storage system that will fit your specific needs. Whatever your vision and current situation, there is a garage storage solution that will be perfect for you and your family. It’s time to tackle your garage – call your local team today! Top photo © iStock/ trekandshoot. Bottom © Closet & Storage Concepts.